Jon Fratelli (born John Paul Lawler; 4 March 1979) is a Scottish musician and songwriter best known for his work with the band The Fratellis. He has also played in a band called Codeine Velvet Club, and also performed as a solo artist. The Fratellis are a Scottish rock band from Glasgow, formed in 2005. The band consists of lead vocalist and guitarist Jon Fratelli, bass guitarist Barry Fratelli, and drummer and backing vocalist Mince Fratelli. Their singles "Chelsea Dagger" and "Whistle for the Choir" were both top ten hits in the UK charts. Codeine Velvet Club was a Scottish alternative rock band formed in 2008 by Lou Hickey and Jon Lawler, a.k.a. Jon Fratelli from The Fratellis. The band's debut album Codeine Velvet Club was released on 28 December 2009 in the UK and on 6 April 2010 in the US. Little is known about Lawler's life before he joined the Fratellis. He attended St. Maurice's High School  and went to college before dropping out within three hours. [ citation needed ] Before joining the Fratellis, he played in an Oasis and Blur cover band. He was born to a Scottish mother and father. In 2005, Lawler responded to an advert placed in a music shop by drummer Gordon McRory, which stated "Opportunity of a lifetime ... seeks band to make our mark on the music industry". On this advert he put his name as "Graeme" to avoid detection of his then current band mates finding out he was seeking a new band. After calling the number, asking for "Graeme" he got told repeatedly that he had the wrong number, he nearly gave up but tried one more time and got a hold of McRory and the band started to form, with Barry Wallace joining the band on bass. Lawler's role in the band is songwriter, lead vocalist and lead guitarist. He was initially accompanied on guitar by Mince Fratelli (Gordon McRory), but Mince switched to drums after the initial drummer did not work out. Writing credits for Costello Music are for The Fratellis, however, for Here We Stand and We Need Medicine , they are solely credited to him. Costello Music is the debut album by Scottish indie rock band The Fratellis. It was released on 11 September 2006 on Fallout Records and Drop the Gun Recordings and on 13 March 2007 on Cherrytree Records in the U.S. and was a success, peaking at #2 in the UK Albums Chart and spent 83 weeks in the Top 100. It debuted behind FutureSex/LoveSounds by Justin Timberlake and stayed in the #2 position for two more weeks, this time behind Ta-Dah by Scissor Sisters. The album had five single releases, as well as the download-only EP Flathead. "Chelsea Dagger" was the most successful single, peaking at #5 in the UK and #4 in the Netherlands, but the other singles failed to chart in most countries. Here We Stand is the second studio album by Scottish rock band The Fratellis, following their successful debut Costello Music from 2006. The album was released on 9 June 2008 in the United Kingdom and 10 June 2008 in the United States, and was their first release on Island Records. We Need Medicine is the third studio album released by rock band The Fratellis, and the first since their 2012 reunion. It was released on 7 October 2013 in the UK, with a US release the following day. 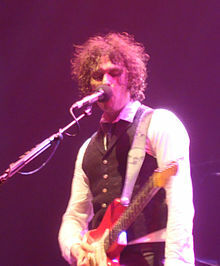 After playing the Coachella festival in California in 2007, during promotion of Fratellis' debut album Costello Music , Lawler decided to flee from the US tour and return to Glasgow, stating that he was too tired to continue the rest of the tour. He later saw this as a mistake, but it allowed him to be even more grateful for the success of the band. The band spent much of 2008 touring and after playing a few dates in 2009, the band parted ways for the foreseeable future. During this time, Jon started and finished Codeine Velvet Club and a stint as a solo artist. Eyes Wide, Tongue Tied is the fourth album by Scottish rock band The Fratellis. The album was revealed on 1 June 2015, alongside the first track "Me and the Devil", and released on 21 August 2015. The album was written and recorded in Los Angeles, California during November 2014 with Tony Hoffer, who also produced the band's debut album Costello Music and Jon Fratelli's solo album Psycho Jukebox. During promotion of Here We Stand , Lawler stated that he wished to create a solo album to keep himself busy once the band were done touring the album, with the band scheduled to take a break. It later emerged that he planned on teaming up with singer-songwriter Lou Hickey, whom he met through her friendship with Lawler's wife, and creating an album. NME reported in an article that the band was set to be called Codeine Breakfast Club; however, on 23 August 2009, it was confirmed that the band had changed its name to Codeine Velvet Club. While playing in this band Lawler reverted to using his proper surname. The band's debut album was to be released on 16 November 2009 (however, this was later pushed back to 28 December 2009). Lawler shares songwriting duties with Hickey for about half the tracks on the album, penning the other half by himself (one track, "Nevada" was co-written by Lawler and Will Foster). The duo took a live band (consisting of Ross MacFarlane on drums, Will Foster on keys and guitar, Lewis Gordon on bass and various horn players known as 'The Velvet Horns') for a tour of the UK in 2009 and the US in 2010, playing UK dates in 2010 also. However, Lawler decided that he could not commit to the band anymore and called an end to the band, finishing off what live dates they had and announcing his solo career, with Hickey returning to her solo career also. Lawler played some solo shows before heading to Los Angeles in late 2010 to record his debut solo album, Psycho Jukebox with Tony Hoffer, who produced the first Fratellis' album. The title is a reference to the Fratellis' song "Nina", which is featured on the "Whistle for the Choir" single. During February 2011, Lawler released a free track via his website called "Rhythm Doesn't Make You a Dancer" which was to be on the album, and also gave away a free EP called The Magic Hour EP. Lawler stated that these songs couldn't fit on the album but he "still had a lot of time for them". The first single from the album was "Santo Domingo" which was released on 28 February 2011. The second single, "Baby We're Refugees! ", was released on 12 June 2011. After embarking on a Scottish tour in March/April 2011, Lawler added two new tracks to Psycho Jukebox, which pushed its release date back to late July 2011. He stated in a live podcast that he was no longer able to add any more tracks to the album, owing to the label's schedule, but added that they were worth adding to the album. In the intervening years, when asked about it while promoting records by the Fratellis, Jon normally had this to say about it: "I actually made another record that will probably never see the light of day. I’m really happy with it, but as soon as I finished it I stuck it in a drawer and said: ‘Right, no one else is ever going to hear that’. It’s quite perverse to not release it, but I like that. I was only making it for me. It just needed to be done. I listen to it every so often and really enjoy it – I don’t want to spoil that." In a March 2018 interview with Wired Noise, Jon revealed that he had re-recorded Bright Night Flowers and had possibly changed his stance on releasing it. "Yeah, I did that over the summer. [It] still needs to be mixed, and then I guess at some point, if somebody wants to release it, it’ll find its way out there." During October 2018, fans had noticed that his own website had been changed to a "Coming Soon" holding page. The Fratellis tweeted out on 23 October 2018 with a reactivated account for Jon Fratelli, with a date of 30 October, hinting to an announcement of Bright Night Flowers is coming soon. On 30 October it was announced that Bright Night Flowers would release on 15 February 2019. Jon also released the album's title track & accompanying video. While playing with Codeine Velvet Club, live performances tended to use a red Fender Stratocaster and a rosewood Fender Telecaster. During his solo career and his third run with the Fratellis, his preferred guitars were still Stratocasters and Telecasters. For the Fratellis' tour he exclusively used a red Telecaster. Lawler likes to keep his personal life private and not many details of what he does outside of music are known. 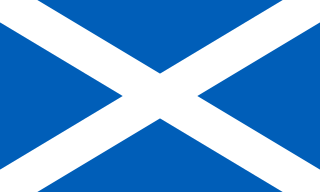 He resides in the town of Cumbernauld, north-east of Glasgow with his wife, Heather, whose burlesque name "Chelsea" he used for the Fratellis' hit single, "Chelsea Dagger". Lawler has a son named Jamie, born 1999 to a girl Lawler was seeing when he was 20. Lawler is also an avid supporter of Scottish Premiership side Celtic. Michael Geoffrey Ralphs is an English guitarist and songwriter, who was a founding member of rock bands Mott the Hoople and Bad Company. Benjamin Gibbard is an American singer, songwriter and guitarist. He is best known as the lead vocalist and guitarist of the indie rock band Death Cab for Cutie, with which he has recorded nine studio albums, and as one half of the electronica act the Postal Service. Gibbard released his debut solo album, Former Lives, in 2012, and a collaborative studio album, One Fast Move or I'm Gone (2009), with Uncle Tupelo and Son Volt's Jay Farrar. Grantley Jonathan "Grant" Nicholas is a Welsh musician, and lead singer and guitarist of the rock band Feeder. John James Sykes is an English rock guitarist, vocalist, and songwriter who has played with Streetfighter, Tygers of Pan Tang, John Sloman's Badlands, Thin Lizzy, Whitesnake, and Blue Murder. Sykes co-wrote the majority of the songs on Whitesnake's 1987 self-titled album with David Coverdale. Sykes is also a successful solo artist. William Alfred Sergeant is an English guitarist, best known for being a member of Echo & the Bunnymen. Born in Walton Hospital, he grew up in the village of Melling and attended nearby Deyes Lane Secondary Modern. He is the group's only constant member. 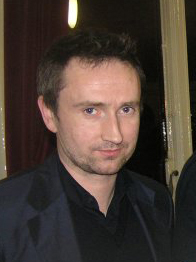 Noel Anthony Hogan is an Irish musician and record producer best known as the lead guitarist and co-songwriter of the Irish rock band The Cranberries. Will Foster is the former keyboardist for the English rock band The Tears. Previously, he played with UK art rock band Delicatessen before forming Lodger - alongside Delicatessen singer Neil Carlill, Supergrass drummer Danny Goffey, and Goffey's wife Pearl Lowe. Throughout the late 1990s he was a regular collaborator and live musician with London band The Tin Apes. He still collaborates with their singer Paul Miller in cult act the Miller Test. Christopher Aubrey Shiflett is best known as the lead guitarist for the rock band Foo Fighters since June 1999, and the punk rock band No Use for a Name, as well as the punk rock cover band Me First and the Gimme Gimmes. He is the younger brother of musician Scott Shiflett. The Budhill Singles Club is a collection of songs released by The Fratellis from 2006 to 2008. The name "Budhill" refers to the area of Springboig, Glasgow where Barry was born. They also visit Budhill Square during the video for Creepin' Up the Backstairs. Songs released to the Budhill Singles Club are generally acoustic or alternate versions of album tracks, although in some cases demos, live versions and unreleased songs have been included. Codeine Velvet Club is the debut, and only, studio album by Codeine Velvet Club. It was released on 28 December 2009 by Island Records in the United Kingdom and was released on 6 April 2010 by Dangerbird Records in the United States. Vanity Kills is the debut single by Scottish rock band Codeine Velvet Club taken from their debut album Codeine Velvet Club. The song was released digitally on 2 November 2009 and on 7" Vinyl on 23 November 2009. It was re-released on 5 April 2010 with a brand new track "Midnight Love Song". Lou Hickey is a singer-songwriter from Neilston, Scotland. She has been working as a solo artist since 2006 and in 2008, joined Jon Lawler from the Fratellis in a band called Codeine Velvet Club which disbanded in 2010. Since then, Lou has recorded her debut album and is currently preparing for its release. The Gospel Truth Choir is a Scottish choir which performs a wide variety of music in a gospel style. Originally formed by Tracey Braithwaite and a group of friends in 2007 for the wedding of BAFTA-winning composer Paul Leonard-Morgan, they were soon regularly performing in recording studios and on stage, as well as being a feature of many wedding ceremonies. Psycho Jukebox is the debut solo album by Jon Fratelli, frontman of The Fratellis and formerly of Codeine Velvet Club. Released on 25 July 2011. It was recorded with Tony Hoffer in the Sound Factory studios in Los Angeles. In Your Own Sweet Time is the fifth studio album by Scottish rock band, The Fratellis. The album was released on 16 March 2018. As well as being released on the standard formats of CD, digital download and vinyl, the band also released a limited edition orange vinyl and cassette available from their official online store. Bright Night Flowers is the second solo album by Jon Fratelli, frontman of The Fratellis. It was released on February 15, 2019, by Cooking Vinyl. As well as being released on the standard formats of digital download, CD and standard black vinyl, the album also released a limited edition purple vinyl available from their official online store. It was co-produced by Stuart McCredie, who also produced Codeine Velvet Club. ↑ "Jon Fratelli visits his old college". Cumbernauld News. 28 September 2007. Retrieved 22 January 2019. ↑ Jon Fratelli: We hit the big time... and I ran away! ↑ "The Fratellis announce new album 'Eyes Wide, Tongue Tied' and new shows". Never Enough Notes. Never Enough Notes. 1 June 2015. Retrieved 1 June 2015.